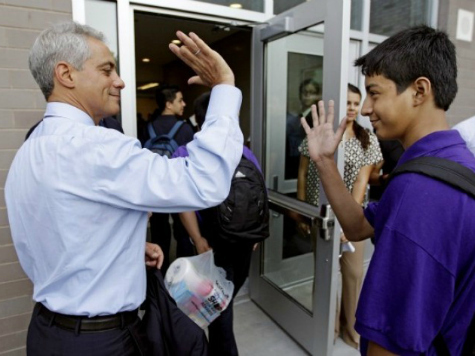 In a recent proclamation, Chicago Mayor Rahm Emanuel announced that he intends to give city jobs and internships to so-called “DREAMers,” youngsters in the country illegally. In December 2012, the Chicago New Americans Plan highlighted barriers that DREAMer students faced, including language barriers and information gaps about the opportunities available to them. These impediments have in the past served as an obstacle for these students and their families, in some cases preventing them from accessing critical enrichment programs. It seems that one “barrier” was not taken notice of – that these students are not citizens and not legally eligible for such opportunities. Mayor Emanuel also announced that he is also going to “train” city authorities in how to aid illegal alien applicants with paperwork and in how to get them government assistance.